Toddlers often are prone to unhealthy eating habits that may lead to lower IQ and other deficiencies that may prove fatal when they reach puberty. Fortunately, giving them a healthy and fulfilling diet is not that hard, provided we as parents take out some time and create a proper diet chart. 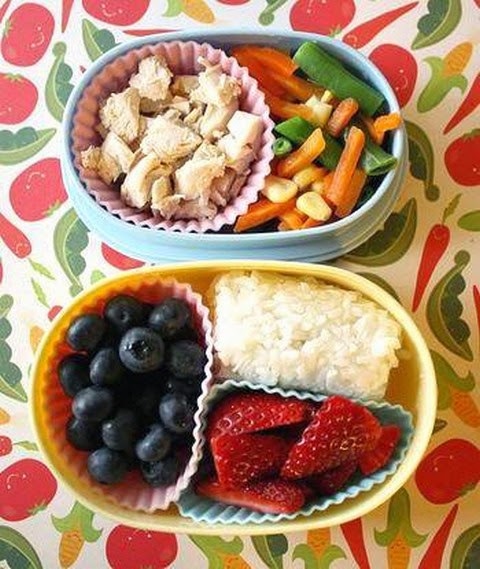 Today, we're going to discuss eating habits of toddlers and how to develop a healthy diet plan for them. An average toddler needs anywhere between 1000 to 1500 calories depending on his exact age and built. Anything less or more than this is only going to introduce medical problems at a later stage. So let's build a proper diet chart for our toddler to give him/her a brighter and healthier future. Analyzing child's current eating habits is the first important step towards making a proper diet chart. Every toddler is unique when it comes to eating habits and daily activities. Studying their eating habits helps in finding out these four important things. Eatables they prefer - You must find out their preferences and likings so that you can include those things in different forms while preparing the chart. Eatables they hate - Finding out their dislikes is equally important. If they don't like an important eatable, you should know it beforehand so that it can be given in a different form or can be substituted with an alternative. Essential food non-existent in their diet - You must also carefully examine and find out the most essential food items that are not present in their daily diet. Make a list of the same that will be used while making the diet chart. Junk food not needed in their diet - And last but not the least is the most important exercise of identifying all kind of junk food your toddler may be consuming every day. 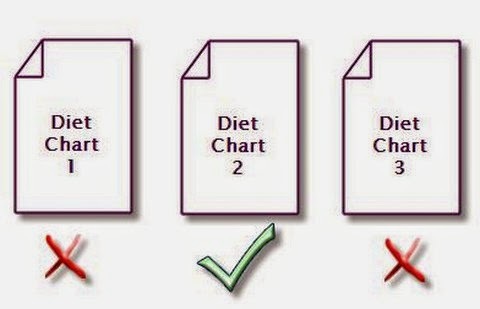 This is so critical for making a better diet chart. Identifying current eating trends brings you to the next step of creating essential groups of eatables and including all possible preparations that are candidates for their place in the final diet chart. Here are some of these important groups. Cereals - Grains are the backbone of any diet. They contain essential dietary fiber essential for a good digestive system. They also fulfill the carbohydrate needs of the body. Possible list items are porridge, oatmeal, corn meal and similar preparations. Dairy products - Calcium is needed on a daily basis to build strong bones and teeth. Apart from regular milk intake, you can also include yogurt, cheese and other similar daily products in this group. Meat & legumes - Protein builds up muscles and is essential for the growing body for toddlers. You can include chicken, eggs, fresh water fish, white beans and pulses in this group. Vegetables - Fresh veggies are extremely important for not only providing necessary nutrients to the kids, but also for keeping the entire digestive tract in good condition. You must include green leafy vegetables (e.g. spinach) and root vegetables (e.g. carrot) in the list. Fruits - They are important source of important vitamins essential for getting good skin, better eye sight and healthier hair. They also contribute in strengthening the immune system. You must include fruits both in solid and in juice form. This segregation of eatables into different groups is just the macro level view of the entire diet plan. You have to further expand it to get the real diet plan that will be given to the toddler. For example, if chicken is included in one of the groups, you have to make a list of chicken preparations that are commonly cooked in your home and the preference of your kid from the list. You can even add new recipes to the list. After creating the groups, it's time to prepare detailed diet charts. Pick each group and create lists of preparations for each food item included in the macro-list. This will give you all the options readily available to be included in the final diet chart. Make sure all the preparations included in the lists are easily available and can be prepared without much effort. Start by picking the preferences of your kid and populate the empty slots with the most essential eatables that must be included in every meal. Create a balance of all eatables in each meal and create 3 to 4 different variations. These variations are not just associated with the entire diet charts but also on a per day basis throughout the entire week. Once all the charts are ready, use each one of them for one month and record the progress of your kid. Find out the best one among all of them and stick to it for better results. Here's an excellent diet planning system for toddlers that will help you in creating these charts. Kids are often very moody and have their preferences for each food item. You must take care of certain important things while making them used to a new diet plan. This way, you will increase the probability of successfully making them eat healthy on a regular basis. Understand when they're saying no. Garnish and decorate food items. Always offer an alternative when a food item is rejected. Do not make them completely reliant on milk. Use picture books to make them aware of the benefits. Keep check on frequent eating sessions throughout the day.